A while back, I updated a post I did about classic, handheld LED electronic games which were popular with kids in the late 1970's into the mid-1980's in a P.S. about those devices being restored as emulators by the Internet Archive (catch my post with the relevant P.S. HERE, or the Internet Archive's post documenting it HERE for more information). I acknowledged that the non-profit organization known as the Internet Archive had recently expanded its content library to include browser-based emulators for some of the old electronic toys that kids of that era actually played with. Those emulators function mainly on personal computers (Apple Macintosh machines are not guaranteed to be included on this list, neither are the browsers found on many mobile devices (but it did work on my Android tablet computer, but the buttons were difficult to use on the virtual device below), but nevertheless, it provides a decent method of preserving some things that might otherwise be lost to history. Although Mattel Electronics were among the more popular handheld electronic games in terms of units sold, those are not included because the litigious toy company likely threatened legal challenges, but many of the others that were made by now-defunct companies that once dominated the space (think of firms like Coleco, Radio Shack's Tandy brand, Tomy and of course, Texas Instruments or "TI" consumer electronics). Texas Instruments is worthy of a special mention because while the company still manufactures semiconductors and integrated circuits (at least as I write this) which power other company's products, its no longer in the consumer electronics and personal computer business (such as things like electronic calculators, toys, PC's, etc. ), but for a time in the late 1970's into the mid-1980's, it was a very big player in consumer devices. TI sold many of those businesses (those which TI was still manufacturing; it had discontinued a number of those it once made even prior to the sale) to Taiwan-based Acer in 1998. 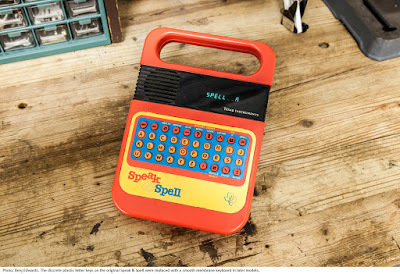 Many children of the 1980’s probably either had one, or had a friend who owned a Speak & Spell toy from Texas Instruments. TI's Speak & Spell arguable planted the seeds of computing in the brains of small children of that era. I was a little too old (I could already spell all of the words), but I was proud that I used money earned from a paper route to buy my younger brother a second-generation Speak & Spell, which differed mainly because instead of having buttons on the device, it had a membrane touch keypad that powered its keyboard. Below is an emulator of the 1979 version of TI's Speak & Spell, which can also be accessed by visiting https://archive.org/details/hh_snspell. You can try using it here by pressing the image below! Texas Instruments refers people to a particular web page for the device found HERE and which also directs users to a scanned copy of the 1980 manual for the device (in Adobe Acrobat format) HERE. The Speak & Spell electronic toy was probably most popular after it's prominent role in the 1982 Steven Spielberg-produced film "E.T. 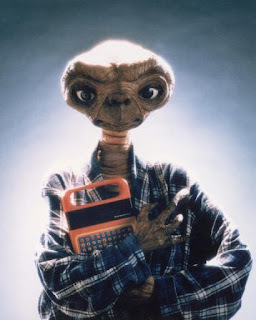 The Extra-Terrestrial" as one of the components the creature known as E.T. used in the communicator it built to "phone home." The original Speak & Spell was the first of a three-part talking educational toy series that also included Speak & Read and Speak & Math. The series was a subset of TI's Learning Center product group and the Speak & Spell was released simultaneously with the Spelling B (a non-speech product designed to help children learn to spell), and the First Watch (designed to teach children to read digital and analog timepieces). The Speak & Spell was sold, with regional variations, in the United States, Canada, Australia, in Europe, and Japan. One of the things that made Speak & Spell unique for its time was that it consisted of a linear predictive coding speech synthesizer, a keyboard, and a receptor slot to receive one of a collection of different ROM library modules (collectively covered under U.S. patent 3934233) meant to expand the library of words that a child could be quizzed on. The first Speak & Spell was introduced at the summer Consumer Electronics Show in June 1978, making it one of the earliest handheld electronic devices with a visual display to use interchangeable "game" cartridges. Speak & Spell was named an IEEE Milestone in 2009. Wikipedia says Speak & Spell was created by a small team of engineers led by Paul Breedlove, himself an engineer, with TI during the late 1970's. Development began in 1976 with an initial budget of $25,000, as an outgrowth of TI's research into speech synthesis. The completed proof version of the first console utilized TI's trademarked Solid State Speech technology to store full words in a solid state format similar to the manner in which calculators of the time stored numbers. 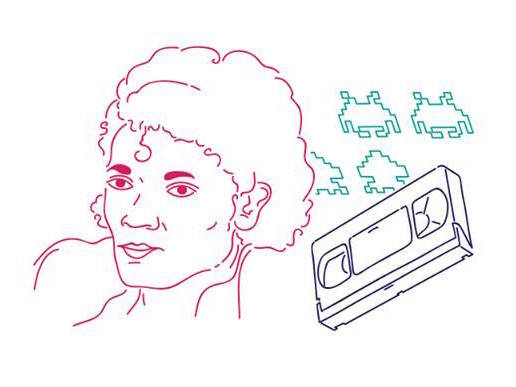 Additional purchased cartridges (called expansion modules) could be inserted through the battery receptacle to provide new solid-state libraries and new games. This represented the first time an educational toy utilized speech that was not recorded on tape or phonograph record (as with Mattel's See 'n Say line or the earlier Chatty Cathy dolls). In any event, because TI's Speak & Spell still holds a special place in the minds of people around my age because it was "gee-whiz" technology that was futuristic back in the day, I'm giving it a post in this blog. While its somewhat crude by today's standards, it helped pave the way for the smartphones that kids of today want so badly. We can thank Speak & Spell for opening those doors!